An attached JPEG displays the results of the 701260 output response to a step-input with a 60 Hz sine wave. Two zoom windows are displayed, the bottom-left zoom windows is the step-down response and the right window is the step-up response. 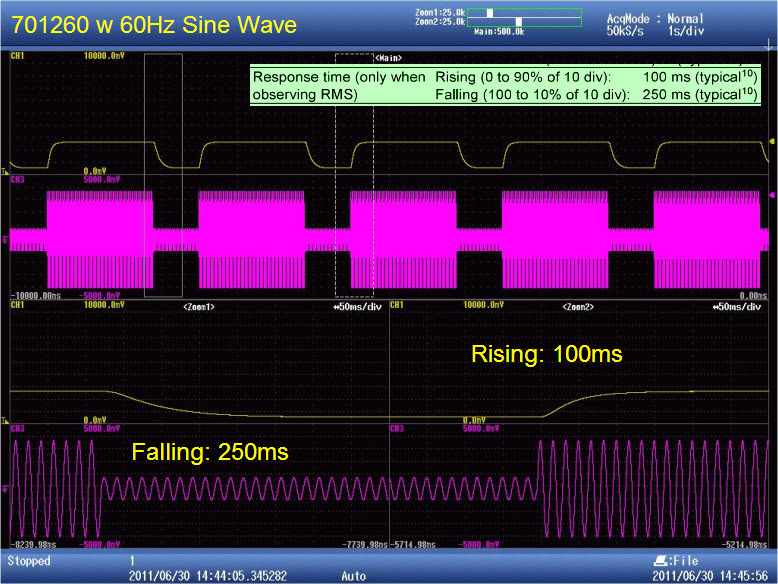 The response time can be measured only when observing RMS.